The Diploma of Project Management is aimed at those who wishing to peruse or develop their career in Project Management. This qualification is targeted at two main streams; candidates currently working in a project environment or those new to project management. Participants without direct experience within a project environment should possess strong technical skills such as Engineers seeking to migrate into Project Management or current managers and supervisors looking to develop or qualify their project management skills. The Diploma provides the key skills, knowledge and competencies to manage a project across a wide range of contexts. The Diploma of Project Management through Scope Training equips the participant with a deeper understanding of Project Management and the tools and techniques to gain a competitive advantage. The Diploma of Project Management is highly regarded as the industry standard in the recognition of Project Managers. Participants will undertake learnings to sharpen their skills (as per key skills section) as well as the opportunity to apply Project Management skills and concepts to work-based situations. This will provide participants with the skills they need to effectively manage projects across a range of different environments. The Diploma of Project Management requires the completion of 12 units. The following are those selected by Scope Training in consultation with industry. 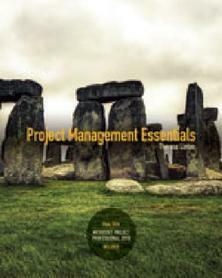 You will also receive a hard copy textbook for future reference – Project Management Essentials, Therese Linton. This text is also accompanied by Cengage e-learning materials to assist with your studies. We pride ourselves with the personable and ongoing student support we are able to offer from our experienced staff. Students have the support of staff throughout their studies including phone, email and we love to have a face to face catch up with our workshop students for a hot beverage somewhere in Perth. This is a great way to go over your post course assessments and tackle anything you are wanting some extra assistance with.